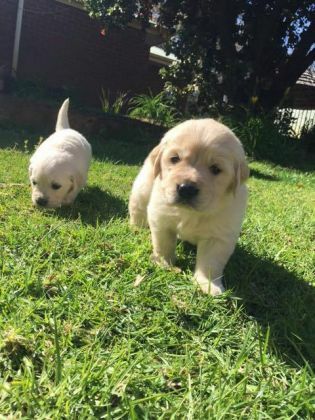 2 purebred Golden Retriever puppies 1Male and 1Female pups available for Free with Excellent temperament - brought up around children , cats, other dogs, chooks, horses etc. They both always wants to be with the family. House trained with very good trainable natures & perfect for families with children .